For a comprehensive energy-saving equipment replacement or timely service on your heating and A/C system, Ferrara’s Heating & Air Conditioning can get your business or commercial building running at peak efficiency. Our commercial HVAC service in Lufkin, TX, delivers fast service and smart solutions at prices that make sense. Our top technicians come prepared to handle your commercial HVAC repair in Lufkin, TX. When you need service, make sure to call us sooner rather than later. If we catch the problem early, we can prevent more costly repairs, system breakdowns, and correct any safety issues. We also recommend that you have your HVAC system inspected and cleaned annually to help prevent problems. We specialize in making you comfortable, and understand how to meet your specific needs. When you need a new heating and A/C system, Ferrara’s consultants will assess your business or building and make recommendations that fit your exact situation and budget. We have extensive experience designing for new buildings from the ground up and retrofitting older buildings with new systems. When it comes to commercial HVAC installation in Lufkin, TX, we nail down the details, produce innovative design solutions, and get the job done right on schedule to keep downtime low and indoor comfort high. In partnership with Honeywell, Ferrara’s Heating & Air Conditioning provides Certified Honeywell commercial controls specialists to ensure your building’s maximum operating efficiency and exceptional comfort with reliability and value. Learn more about building automation controls in Lufkin, Texas here. Ferrara’s Heating & Air Conditioning sells, leases and repairs commercial refrigeration equipment, including ice machines, reach-in freezers and coolers, and walk-in freezers and coolers. We provide delivery and installation on all products we sell and service in the Lufkin, Texas area, handle maintenance upgrades and replacements, and repair all major brands. 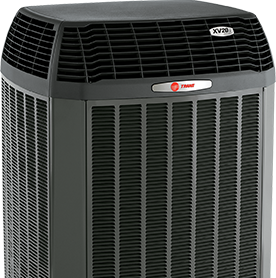 Your heating and air conditioning systems will last longer and cost less to operate with regular, routine service. As leaders in commercial HVAC maintenance in Lufkin, TX, we have a Priority One preventive maintenance plan to meet your business or building’s specific needs. 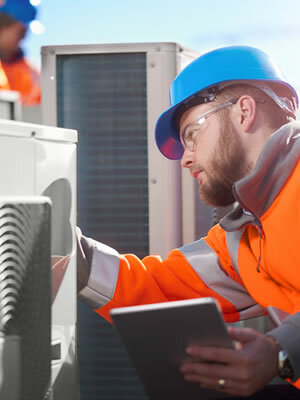 Featuring 18-point inspections and regular tune-ups, this planned heating and A/C maintenance service provides complete assurance that your equipment is operating at peak performance and energy efficiency. Plus, the agreement comes with priority scheduling when you need a service call and special discounts on repairs. Considering all that’s at stake for your business or commercial property, getting the year-round comfort that comes with a preventive maintenance plan from Ferrara’s Heating & Air Conditioning is one of the best investments you’ll ever make. Our proven pros provide the solutions you need to keep your building in business and your business on budget. See Ferrara’s for commercial HVAC service in Lufkin, Texas, that adds value to every dollar. To schedule service or request a free estimate for system replacements, call (936) 639-5259.